Bacon cheeseburger tater tot casserole is such delicious and hearty comfort food. Make this on a snow day when the kids are home from school. Or anytime for a special treat. 1. Preheat oven to 400 degrees F. Spray a glass 13" x 9" baking dish with nonstick cooking spray and set aside. 2. In large skillet, cook bacon until crisp. Remove bacon to paper towels to drain, crumble, and set aside. Drain skillet; do not wipe out. 3. Add ground beef, onion, and garlic to skillet and cook, stirring to break up meat, until beef is cooked and vegetables are tender. Drain well. Add celery and bell pepper; sauté and stir for 2 minutes longer. 4. Add Alfredo sauce and Cheddar cheese; bring to a simmer. 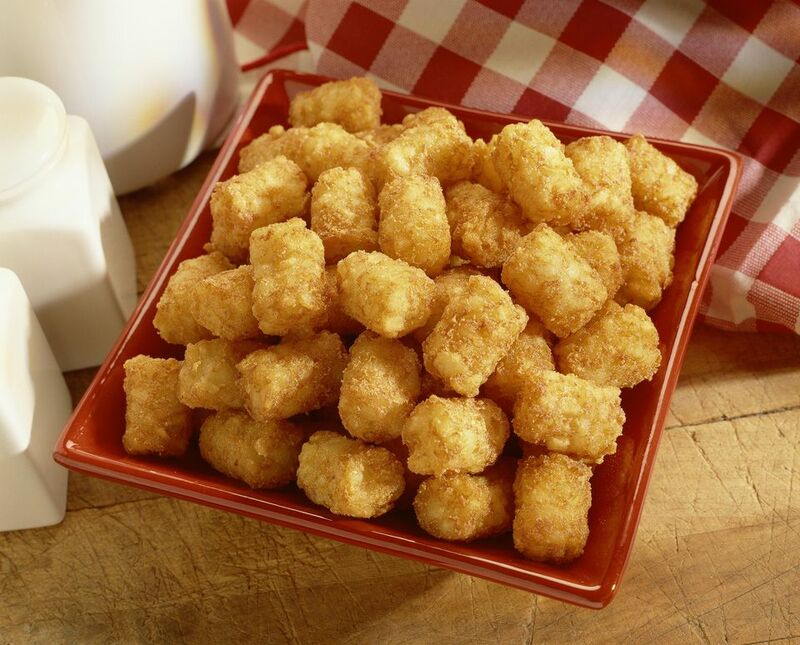 Stir in mustard and pour into prepared casserole and top with frozen tater tots. Sprinkle with Parmesan cheese. 5. Bake for 35-45 minutes or until casserole is hot and bubbly and tater tots are hot. Serve immediately.